Have you ever been so excited about something that you didn’t know where to begin? This is how I feel about gelatin. The gelatin I’m talking about is from collagen. Either hydrolyzed (soluble in hot or cold liquid) or unhydrolyzed (the kind that gels). So if you can’t seem to kick into the all-the-rage bone broth habit, let gelatin be your answer. The advantages of gelatin and bone broth are synonymous. Gelatin and bone broth are fraternal twins. They come from the same source, but end up looking quite different. We’ve been told to eat protein. But do we know why? Simply put, we would not survive without it. 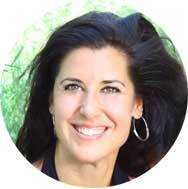 By eating protein we obtain the essential amino acids our bodies require to grow and thrive. Proteins are quite literally the building blocks of life. 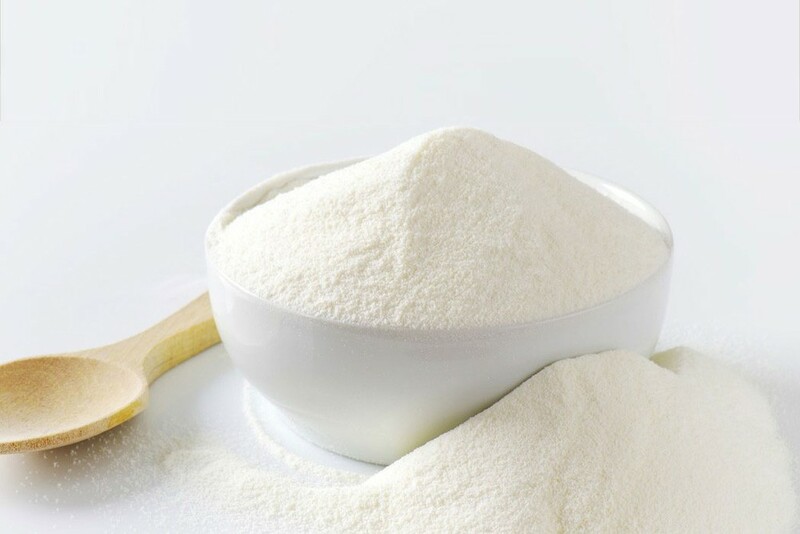 Proteins are molecules consisting of one or more long chains of amino acid residues. At a cellular level, humans can produce 13 of the 22 amino acids that the body requires to make all the proteins it needs to function and grow—we call these the “nonessential” amino acids. They are alanine, arginine, asparagine, aspartic acid, cysteine, glutamic acid, glutamine, glycine, pyrrolysine, proline, selenocysteine, serine, and tyrosine. The remaining nine have been coined “essential” because our cells cannot manufacture them. They are histidine, isoleucine, leucine, lysine, methionine, phenylalanine, threonine, tryptophan and valine. When we think of animal protein, bones, necks, feet and tails usually aren’t the first images we conjure up. Typically, we think of muscle meat like a steak, a roast,or a chicken thigh. But all are sources of protein, with varying amino acid profiles. Can the form of protein we consume affect our health? Quite possibly. Studies have shown that eating excess amounts of muscle protein can cause stress responses in the body that increase cortisol, inhibit thyroid function and compound exposure to toxins. And if slowing down of the aging process is of interest to you, listen up! Those essential amino acids we talked about earlier are required for growth and are critical for growing children, pregnant women, heavy weight lifters and those recovering from injury. However, not all amino acids necessarily contribute to longevity, sound brain development and good health in excess or alone. Take the amino acids tryptophan and cysteine, for example. As we age our need for these amino acids wanes. Interestingly, cysteine and tryptophan are released in high quantities during stress and have anti-metabolic effects. And since stress is considered one of the major contributors to inflammation and degeneration in the body, we surely don’t want to burden ourselves with more cysteine and tryptophan than our bodies can healthfully handle. Muscle meat is significantly high in tryptophan and cysteine. Does that mean we must cut out the meat? Cut out, no. Cut down, maybe. Let’s go back to those bones, necks, feet and tails. What if we were to simmer them over low heat for a long period of time? The result would be a rich, gelatinous broth full of peptides (short chain amino acids) and proteins (long chain amino acids) and a form of protein that contains zero tryptophan and minimal amounts of cysteine. Did I mention it’s anti-inflammatory? If you’d like to give gelatin a try, I recommend grass-fed. I cook and bake with it and use the hydrolyzed form like a protein powder and add it to smoothies, soups and salad dressings. The recommend daily dose of gelatin is 10-15 grams a day. I buy Great Lakes from Amazon. 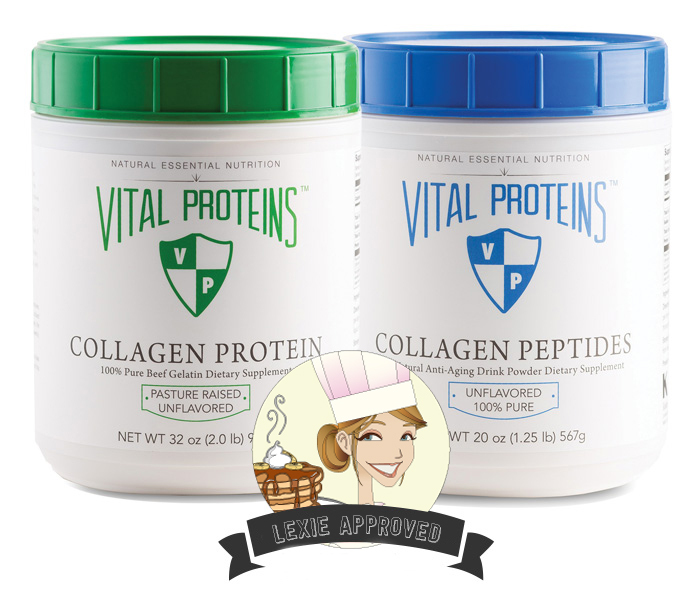 Vital Proteins is another one Lexie recommends. I’d love to hear how you use gelatin and what benefits you’ve experienced. Got a great suggestion or recipe? Do share! Here’s to good gathering, aging gracefully, stressing less and enjoying your health! Gelatin is one food that I definitely want to experiment with more. I’m only hesitant due to my audience online, and because I have so many other foods in our house to finish up! But, it is so versatile and seems impossible to ignore from a health perspective. I am very curious if the gelatin adds an texture to dresssings or sauces? a flavor to baked goods. HUM…I’m very curious! Confession: I really loved those Orange Julius drinks. I will try it out.